iPhone is the name of dream. For some security reason, Apple doesn’t allow any applications to record your iOS device’s screen. Today we will show you a trick name Record iPhone’s Screen Easily. But if you want to record your iOS device then you are at right place. We will show you how can you record your iOS screen. There are some app whose will only work through a computer, and usually at a cost like Good Screen Recorder Lite and Reflector app. You’ll need a Lightning cable when Apple’s own QuickTime Player lets you do it for free. You need to jailbreak first if you want to record your screen through Cydia apps. Don’t worry about that. 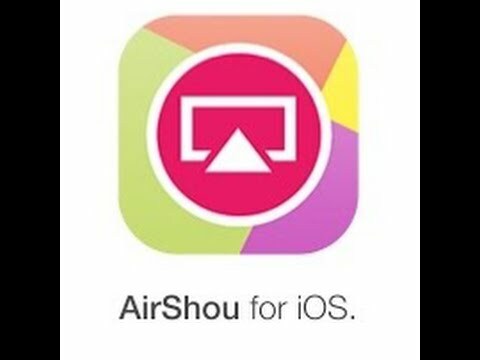 There we have another option, though, and it’s called AirShou, from Shou.TV. Airshou is the most iPhone screen recorder. It will allows you to screen record directly from your iPod, iPad or iPhone. The best thing is without having to jailbreak or use a computer. But there is a problem let you know about that. This app is not available in the iOS App Store. But don’t worry you’ll be sideloading it like we’ve done before in the past for video game emulators like GBA4iOS and NDS4iOS. Install AirShou directly from your iOS device, head over to emu4ios.net tap on it, then select Install. If you have trouble to install there is another site who host the app and the name is iEmulators.net. When you try to open the app, you’ll need to trust it if you get an Untrusted Enterprise Developer and this called Trust the Developer. You need to fix this by going to Settings then General and then Profiles & Device Management. After that you need to find the profile that has AirShou listed in it and hit the Trust button. Now it’s time to start a screen recording. To do that you need to open the app. There is another thing that you need to sign in or if you don’t have a account then you can create an account. After that you have already done. Before recording, you will need to select your own device from the AirPlay list. If you are in a phone then select it. Wait a minute ! how will you stop the recording ? To end the recording you can go back to Shou and select Stop or tap on the red banner. tap on Open In to open the video in another application like player. If you want to share it via AirDrop or email you can also save to your Camera Roll. Through this process you can record your iPhone screen. This is the simple process to do. Hope you like it. Till our next post be well.